Keep up to date with Part Three of our re-reading of Peter F. Hamilton's Void Trilogy, ready for Night Without Stars. The starship the Delivery Man is on drops out into space around Gralmond. He's received all the updates from the Conservative faction regarding events in ANA and around Earth, and he calls his wife - to hell with protocol. And the link ends. He decides to try and get access to some of the caches that the Conservative faction leave around, though he doesn't know what it will accomplish. As he decides this he receives a call from the faction, though he doesn't quite believe it due to Earth's enclosure. Paula is in shock, and Pentagon II informs her that there is no way into the swarm components: they can't turn it off. The President comes on the line to inform Paula of what they believe, that the Accelerators want to achieve fusion with the Void, and that now only one aspect remains undetermined: Araminta. She tells the President she will go to Chobamba to pick up Araminta, to which she is told to take her into custody, no pussyfooting around anymore. He also confirms that the ship carrying the Inversion Core uses Dark Fortress technology, and that it is unlikely that any Commonwealth ship has weapons that can get past its defences. Araminta returns to the real world after dreaming Inigo's dreams of Edeard's life, and realises now just why Living Dream want to enter the Void so badly, and just how much devastation it will cause for the galaxy if they succeed and reset the Void every time they wish. She logs on to the network and sees the news of Earth's imprisonment, and she calls Laril. Glad that she is okay, he asks if she has decided what to do. When she tells him she won’t be helping Living Dream, he gives her her options; ask the Navy for help, ask Oscar for help, or side with a faction opposed to the Accelerators. They talk and she decides to contact Oscar, with Laril offering to make the call to him for her. She agrees, but before she can give him Oscar's code a shotgun message enters Chobamba's cybersphere: Paula delivers the news that Living Dream is on to her, and she should leave. Now. A plan forms, and before long she's got the delivery boy, Ranto, outside her door and an offer made for his bike. He sells it to her, gives her a quick lesson in how to use it, and she's off. As she nears the Silfen path she can feel it, but there is action behind her in Miledeep Water, craft in the skies. In a panic she rides on to the path, and before long the bike breaks down, leaving her on foot, but not on Chobamba anymore. She walks onwards, and after a while she can feel that the Silfen are close by. Like a birdsong, she thought, a flock of birds singing a hymn. Before long the Silfen appear around her riding their beasts, and she is offered a hand by one of them to ride with them. They continue to a campsite, with thousands of them present there where they welcome her, giving her food and drink and she is lost amid all the bodies around her. When she needs to rest she tells them so, and they help her relax. That's when she hears one of them speak to her: Clouddancer, and with him is another Silfen calling himself Bradley Johansson. She realises he was in the Starflyer War, and saved humanity during the events of that time. “Oh, brother,” Clouddancer grumbled. “Thank you, Friend’s daughter. He’ll be insufferable for a decade now.” “I played my part,” Bradley Johansson said modestly. His tail tip performed a lively flick. The talk to her, revealing that the party is for her, that they wanted to meet her, and that they are talking to her now about the Void. They also reveal that the Silfen Motherholme occasionally senses thoughts from the Void. “Why doesn’t the Motherholme ask the Void to stop expanding? They also tell her that they have sensed the Inversion Core, that it is evil, and that it wants to meddle with the destiny of the galaxy. It must be stopped. She doesn't know what to do, she wants to hide while all this happens, and asks if she can stay with them. They say yes, but she knows that no matter how long she is there, no time will pass in the universe until she returns to events. She asks for a meal and some rest, and then she'll be on her way. Yes, I’ll do what I can. Marius is watching the newsfeeds covering Araminta's escape from Miledeep Water along the Silfen Paths. Ilanthe had contacted him to keep an eye on the Delivery Man, and he saw that a secure call had been made to him, and he follows along to monitor the situation, seeing him gain access to the ultradrive left on Purlap. The Delivery Man calls his contact once inside the ship. They talk, and then a set of coordinates at the Leo Twins is given to him to go and pick his contact up. After some discussion he knows that this option is the best to save his wife and children, so off he goes. The reason they are on Oaktier becomes clear - this is currently where Laril is staying on his inwards migration. He sees that the Accelerator agent is Valean, and though he asks whether he should simply target her Paula tells him to track her instead, to see who the other agents on planet are. Troblum has finally installed the ultradrive in the Mellanie's Redemption and has it working nicely. As he opens his TD link to see what is happening the SI takes over Catriona's solido to talk to him, telling him that Sol is now imprisoned. They talk about his motivations and his hand in creating the swarm, and the idea that the Accelerators will raise everyone to post-physical status regardless of whether or not it is what they want. The SI talks to Troblum about helping the Commonwealth figure out how to get through the barrier, though he is rather resistant to the idea, but not for the wrong reasons. Before withdrawing the SI tells Troblum where Oscar is, and it turns out that that is exactly where the Mellanie's Redemption is headed. The Delivery Man arrives at the Leo Twins and makes a call to his contact, who tells him that he isn't alone: someone has followed him. A T-sphere expanded out from the strange asteroid. It teleported the starship inside. They talk and the Delivery Man realises that it is Gore who is dreaming of Justine: family connection. He also informs the Delivery Man that there is no committee to the Conservative Faction - Gore is in charge, and they do as he says. Gore tells him that his plan is perhaps the best option the species has for survival, and the Delivery Man puts his lot in with Gore. Marius contacts Ilanthe to tell her where he is, and they figure that the asteroid must belong to Nigel or Ozzie, and that it's Gore who is current residence there. As they're talking a wormhole appears at various sections in the asteroids orbit, pulling items in, and then the t-sphere activates and the ultradrive ship is back in space. “How?” He was trying not to shout. Gore tells the Delivery Man that Ilanthe is not doing what she is simply to go post-physical, but for much more selfish and evil reasons, and it's down to them to stop her. That's us done again for this week. Join me here next time where we'll go through Inigo's 21st Dream and Chapter Four. 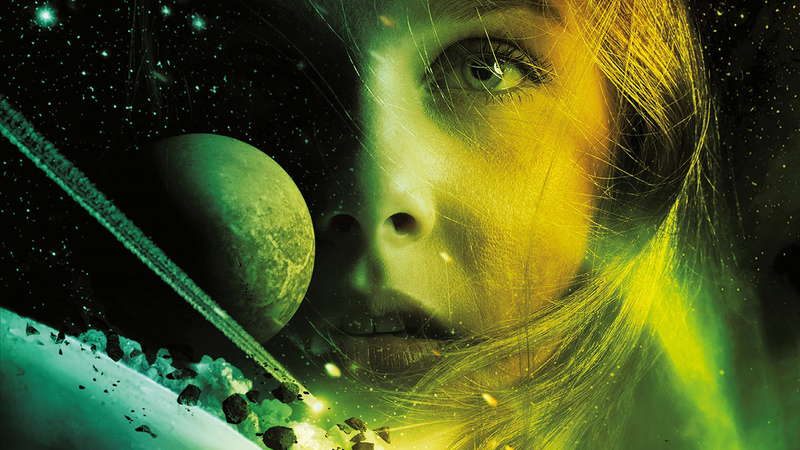 Night Without Stars, the sequel to Abyss Beyond Dreams and return to the Commonwealth Universe setting of the Void trilogy, is an explosive climax to Peter F. Hamilton's epic series. Available now in Paperback and as an Ebook and Audiobook.